Let me start by saying that the products featured in this post were provided to me free of charge courtesy of Ulysses Press. This post may have affiliate links but this in no way will influence the review to follow and all opinions are my own. I have mentioned in the past that when I was young there was a gift store that i frequented for presents. This store had everything from gag gifts, balloons, cards and gift books. I also worked for a card shop that sold gift books so I love theme books that celebrate a persons favorite things. 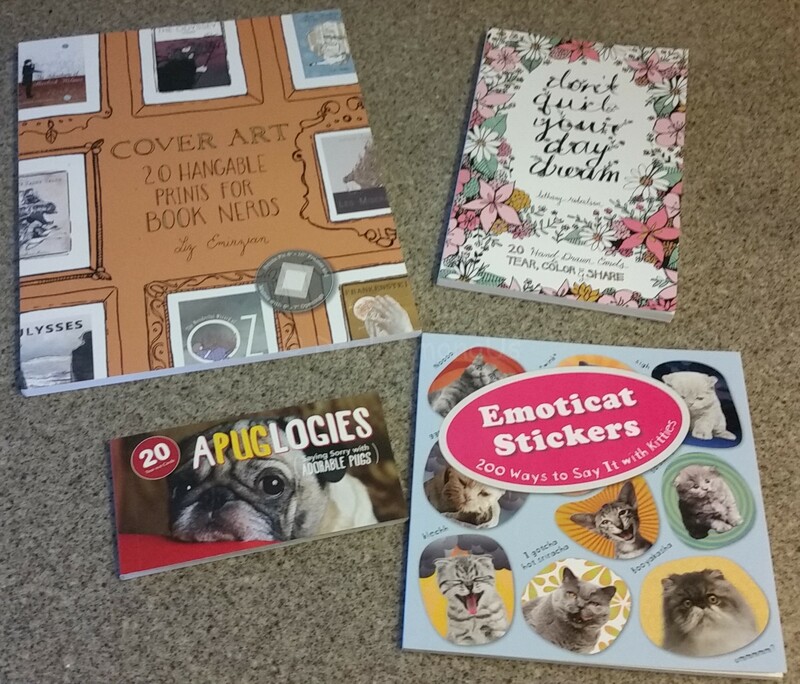 I recently heard about the release of 4 new gift books from Ulysses Press that celebrate a persons favorite things that range from Pugs saying “I’m sorry”, cats that are expressive and communicate how you are feelings, hangable classic book covers and a unique twist on the adult coloring trend. This entry was posted in Books, Giveaways, Reviews and tagged adult coloring books, book review, cats, coloring, dogs, gift books, prints to hang, stickers on October 24, 2015 by Jennifer.